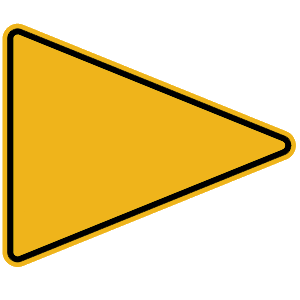 A triangular yellow sign with black lettering indicates a no passing zone. 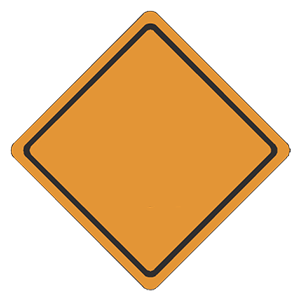 It will appear on the left side of a two-way, two-lane roadway at the beginning of an area where prohibitive pavement markings are also used. Cautiously pass the vehicle at 10 mph or slower. Stop, proceeding only when all the pedestrians have crossed. You must not pass a vehicle that is stopped at a crosswalk. 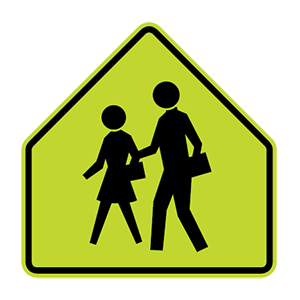 There may be pedestrians crossing the street that you cannot see. Instead, stop, proceeding only after all pedestrians have crossed. When may you legally drive around or under a railroad crossing gate? When you can see clearly in both directions. When the warning lights are not flashing. 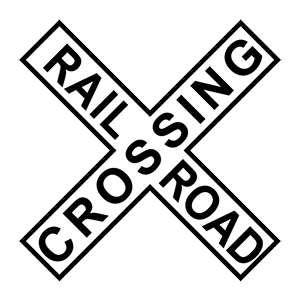 Do not go around or under any lowered gate at a railroad crossing. 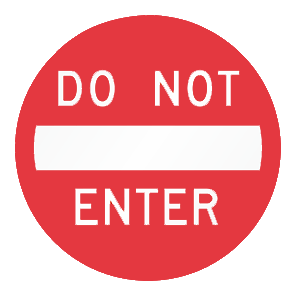 Once the gate is raised, do not proceed across the tracks until you can see clearly in both directions and are sure there are no trains coming.